[In the Media] Healthtech Women Japan Official Launch Party (Nikkei Shinbun, March 9, 2018) - Health and Global Policy Institue（HGPI） The global health policy think tank. Manami Takamatsu, HGPI Manager, deliered a lecture in Healthtech Women Japan Official Launch Party was featured in the article. 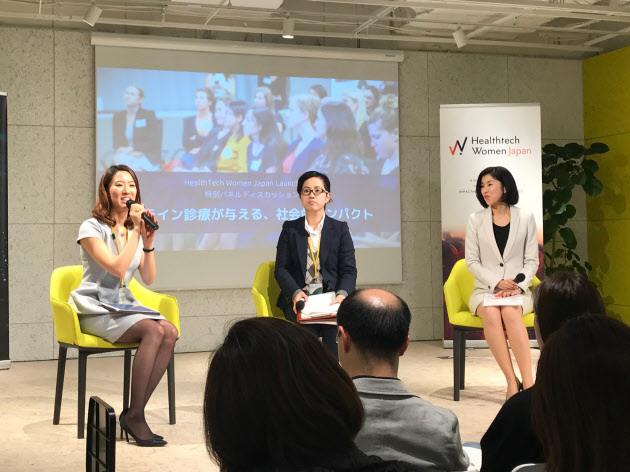 HealthTech Women Japan was launched on December 20th, 2018 by International HealthTech Association. In the Launch Party, They introduced their activities and also discussed the HealthTech new Trend, the telemedicine and more. *For more information about this news, please see here. ** Available only in Japanese.